What is an apk file and how do I open an apk file? APK, or Android Application Package, is the file format used to distribute and install application software and middleware onto the Google Android operating system and certain other operating systems, such as Blackberry 9900 Devices with the OS version 7.1.0 or higher.. An APK file contains all the necessary files for a single Android program. APK files are saved in a compressed ZIP format and can be opened with any decompression tool. APK files are essentially a type of archive file, where the format of the packages are based on the JAR file format, with .apk as the filename extension. To make an APK file the software for Android is initially compiled, and then all of its parts are packaged into one file. An APK file contains all of that program's code (such as .dex files), resources, assets, certificates, and manifest file. Generally, when you download an .APK file on your PC or Mac, you need to upload it to your Android phone or tablet. And install the apk inside the phone or tablet. You need to connect your Android device to your PC or Mac with an USB cable and drop the .APK file to the SD card storage. And then launch a file explorer application on the device and navigate to the .APK file dropped. Tap on the .APK file to install the application to your device. Notes: APK file is compressed in ZIP format. 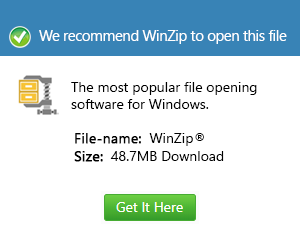 It is a kind of ZIP file and can be opened by any unzip tools. You can either rename the file extension to ".zip" and open the file, or you can open the file directly with unzip tools. Any kinds of Android phone or tablet, or devices running an Android system.